Forget man code, French Montana and Drake are governing themselves by a different, and questionable set of rules. 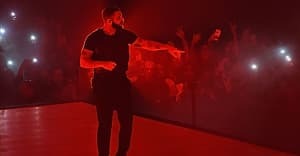 On Friday, Montana shared on Instagram the Ten Snipe Commandments he and Drake came up with--which he then printed and framed to display in his home. It's an oddly specific list, with one of the commandments stating: "Thou shall only splash unprotected if the ting is a must splash or you are too fry or you trust the vibe or you plan to keep the vibe for a minimum of 6 months with 4 interactions within the allotted time period." Read the ten commandments in the photo above, though, as Montana writes in the caption, "disregard if you're fully committed."